One of the easiest ways out of any confusion created by an irreconcilable difference in the course of an employment relationship is a voluntary resignation by the affected worker. Unfortunately, lack of knowledge of employee’s rights and employer’s powers has resulted in several litigious employment disputes that could have been avoided with minimal costs to both parties. It all depends on making the right decision with less stress or none at all. 1. What is the difference between a termination letter and an employer’s advice to resign? A termination letter of employment is simply a document by which an employment relationship is determined. It is a letter which disengages an employee from any further obligations except those which he is required by agreement to fulfill before exiting the employment. However, an employer’s advice to resign is merely a verbal or written request by an employer urging an employee to voluntarily quit his job rather than a termination of the employment by the employer. An employer’s advice to a worker to resign is simply a management strategy to ensure that the company’s record does not reflect that the worker’s employment was terminated by the company (even though the worker was urged or pressured to resign). It is difficult to outline what will amount to undue pressure from an employer to warrant the inference of a wrongful termination of employment. It is advised that the facts of each circumstance ought to be carefully reviewed by an employment lawyer in order to advise on the best way out of any irreconcilable difference between an employer and employee. Sometimes, an employer’s advice or request for a worker’s resignation may be a kind gesture towards the employee whereas at other times, it may be inappropriate and actionable! The National Industrial Court held that an employer’s advice or request to an employee to resign has no legal effect whatsoever and, as such, can be disregarded by a worker. In a case decided on 25th September 2014 by Honourable Justice O. A. Obaseki-Osaghale of the Calabar Division of the Court, the claims of an aggrieved employee against his employer were granted in large part when the court held that the claimant’s employment had not been terminated by a memo issued by the company’s management advising the claimant to resign. 2. Is an employee bound to resign when the employer requests for his or her resignation? A worker is not bound to resign on the advice or request of his or her employer. A worker is at liberty to refuse to resign, even if he is threatened by his employer to do so, especially if there are no justifiable reasons for which the employer can immediately (and lawfully) terminate the employment. In other words, if a worker is not culpable for any misconduct or poor/non-performance, he or she can disregard the employer’s advice or request for resignation. It would appear to be a common practice for a company to request a worker to resign in order to avoid being fired! 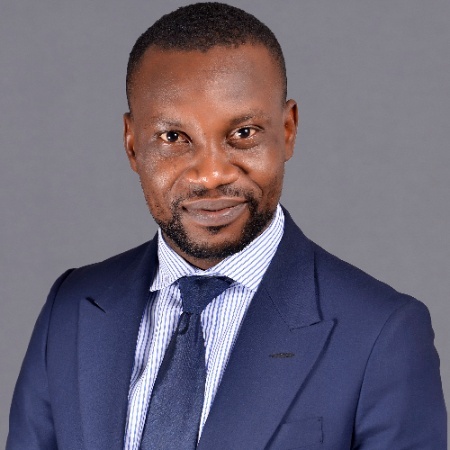 The question, however, is how far can the company go in legitimately requesting or pressuring a worker to tender resignation without violating international best labour practice? In my view, it is a wrong decision for an employer to request or advice an employee in writing (including a report of investigation) to tender resignation unless the employee is found wanting for misconduct or poor/non-performance. This is because the court may presume that a worker’s service has been wrongfully terminated if, after his refusal to tender resignation on the written advice or request of the employer, a notice of termination is issued to such a worker. It is useful to mention that a worker should regard an employer’s advice to resign as a good gesture or favour if, after a considered review of the circumstances, there are, indeed, justifiable grounds for immediately terminating the employment by the company. 3. What are the required contents of a letter of termination or resignation? A letter of termination or resignation is required to satisfy certain conditions. These conditions are not provided in any law but are drawn from my review of some judicial decisions of superior courts in Nigeria in which letters of termination and resignation were in contention between employers and their respective employees. i. Date of the Letter: A letter of termination or resignation must be dated. Without being dated, a document is worthless as a letter of resignation or termination. The date is necessary to compute the period of notice as agreed in the employment contract. ii. Addressed to a Specified Party: A letter of termination must be addressed to an individual employee and not to a group of employees; otherwise, this will give rise to a different legal implication. For instance, where a letter of termination is addressed to a group of employees, it may give rise to an inference that the employees have been disengaged in a manner that will entitle them to redundancy benefits. A letter of resignation, however, may not be invalidated merely because it is not addressed to a specific authority in the company, it is sufficient if it is addressed to the company or any official in the management. iii. Clear Wording of the Termination Phrase: A letter of termination must clearly state that the employee’s services are no longer required by the employer or that his/her employment is terminated effective from a specified date. Equally, a resignation letter must state clearly that the employee wishes to bring the working relationship to an end by using any of these or similar expressions; “I hereby resign from my employment as director/manager/accountant/Head, Human Resources etc. of the company” or “Please accept my resignation as director/manager/accountant/Head, Human Resources etc. of the company”. iv. 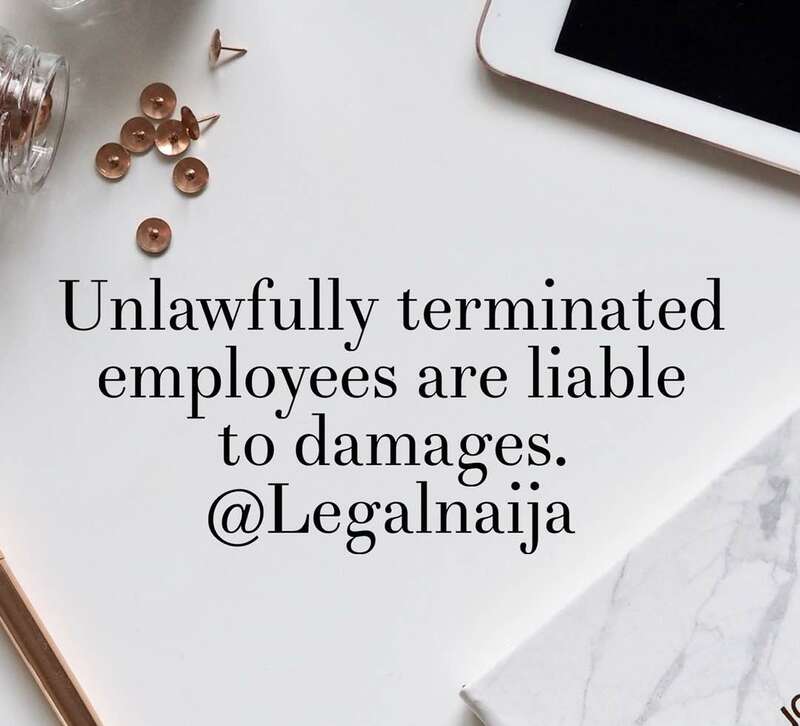 Reason for Termination: According to recent judicial decisions, every letter of termination of employment must state a good reason for terminating the service of a worker. Liability may arise to the employer if the termination letter does not state any ground (and of course, a good ground) for the termination. v. Notice Period or Salary in lieu of Notice: A letter of termination or resignation must state whether a notice period is given to the addressed party or that the party issuing the letter will pay/has paid the salary payable in lieu of the notice period, depending on the employment agreement. Where the party issuing the notice intends to pay a salary in lieu of notice, the letter of termination or resignation may state the amount payable or simply enclose a banker’s cheque in the said sum. The payment should not be delayed. Where a notice period is given, the employee is expected to resume work as usual unless the employer prefers to pay the worker off and dispense with his or her service for the notice period. It is, however, unclear and, therefore, arguable whether, in the course of a notice period, a worker may decide to convert his service for the reminder of the notice period to payment of salary in lieu of notice. Where an employee accepts payment after termination of employment, he cannot complain later of unlawful termination of employment. vi. Date of Disengagement: A letter of termination or resignation must state when the worker will stop work or whether he is required to leave the employment immediately. If the worker is required to leave the employment immediately, his salary in lieu of notice and other benefits, in appropriate circumstance, should be paid immediately as well. Even though the Court of Appeal’s case of WAEC v. Oshionebo  12 NWLR (pt. 994) 258 has been interpreted by the National Industrial Court to imply that the tendering of resignation by an employee carries with it the “right” to leave the service automatically without any benefit, it is my view, however, that a thorough review of an employment contract is sacrosanct in determining if the employee will be entitled to any terminal benefits at the time of voluntary resignation. Please note that the parties may enter into a new agreement on how to satisfy, at a future date, any outstanding obligations under the employment contract which the parties cannot fulfil at the time of resignation or termination of the employment. vii. Authorized Signature: Except where delegation of authority is otherwise permitted, a letter of termination must be signed by the authorized staff of the employer in accordance with the employment contract. Please note that the authorized staff of the employer is the official who signed the employment contract on behalf of the company or the staff who has the power to terminate the employment. If there is any question as to whether the staff who signs a letter of termination has a delegated authority to do so, the answer will depend on the facts of each case, the employment contract, internal structure of a company and the court’s evaluation of evidence. viii. Evidence of Delivery: A letter of termination or resignation must be delivered to the addressed party in the manner agreed in the employment contract or any other manner which may justify reasonable notice. It is acceptable to forward a letter of resignation or termination under the cover of an email to the official email of the addressed party provided that nothing is done to prevent its receipt. In such case, both the letter and the cover email must be tendered in any litigation regarding the employment. ix. Evidence of Receipt: A letter of termination or resignation must be received by the addressed party. The addressed party has no right or discretion to reject the letter. A letter of resignation or termination takes effect from the date on which the letter is received by the addressed party. Proof of receipt is important in order to answer any question on whether an employment relationship has been brought to an end either by termination or resignation. Whenever an employee’s engagement is brought to an end by a defective letter of termination or resignation or no letter at all, damages is the only available remedy to the aggrieved party. The employee cannot be reinstated to the employment as the Court does not force a willing servant on an unwilling master and vice versa. In the case referred to under No. 1 above, the employer, by a memo dated 17th December 2009, advised the claimant to resign but he refused to resign and, instead, brought an action against the company three (3) years after (on 18th December 2012). After holding that the claimant was right to have disregarded the employer’s memo advising him to resign, the court held that the worker remained in the company’s employment and therefore entitled to salaries for the period from June 2009 till judgement date, 25th September 2014, and thereafter until his employment was properly terminated by the employer!